Tashmica Torok spoke at our Pop-Up Stories event at REACH Studio Art Center in Lansing last October. The next Pop-Up Stories is Thursday night at the MICA Gallery in Old Town Lansing. Pop-Up Stories is back in action this week! To celebrate the return of our mobile storytelling series, we’ve got one of our favorite stories from last year. It's by Tashmica Torok. 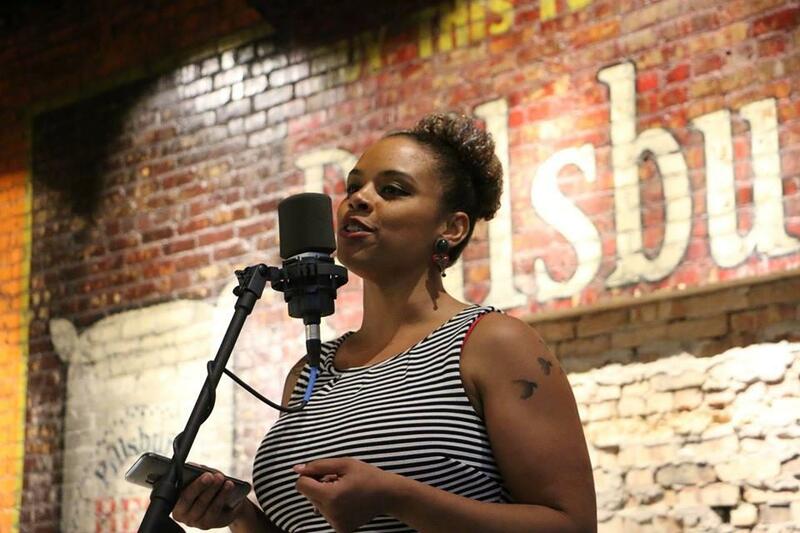 As a preview of what’s in store for you, we have a story from one of the people who stepped up to the microphone at our Pop-Up Stories event last year. Tashmica Torok is the executive director of the Firecracker Foundation, which provides therapy and other services to child survivors of sexual survivors. She told this story at our event at REACH Studio Art Center in REO Town last fall. If you want to tell your own story about having a “change of heart”, there’s still time to sign up! Just email currentstate@wkar.org and put Pop-Up Stories in the subject line. 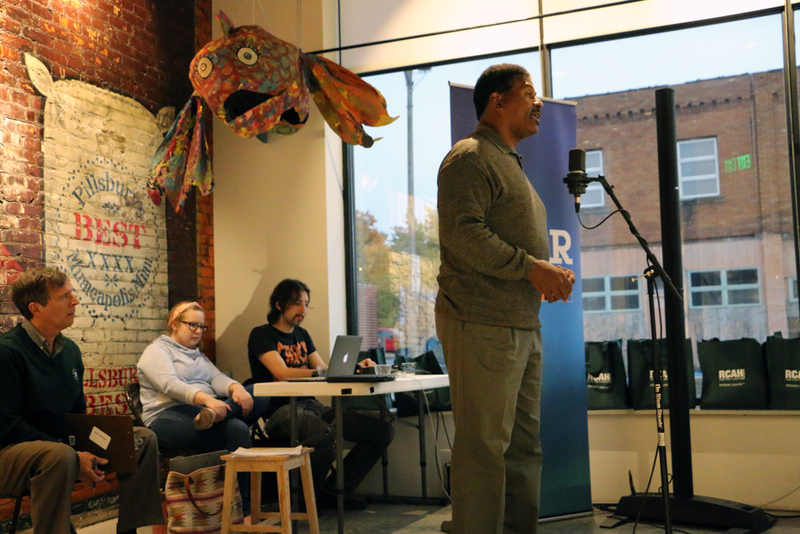 Current State's third Pop-Up Stories event was last night in Lansing. Reuben Kenyatta was one of the storytellers on the them of "Create and Destroy." The theme of our most recent Pop-Up Stories event was "Borrowed and Stolen." 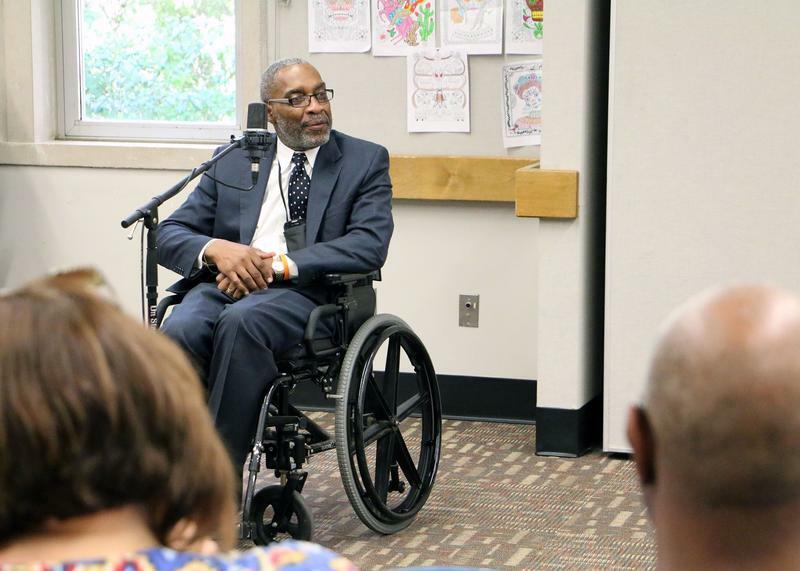 Charles Upshaw was there to tell his story at the East Lansing Public Library. 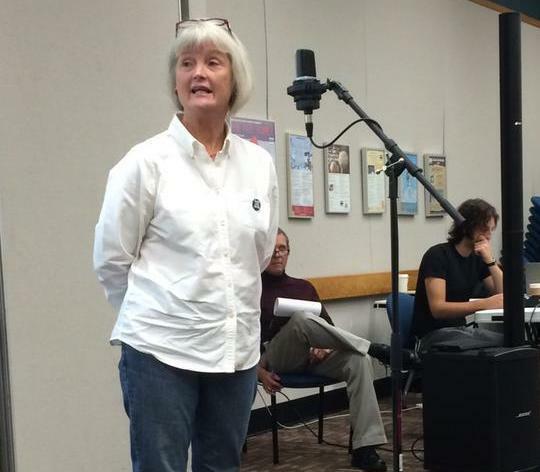 Current State held its second Pop-Up Stories event yesterday at the East Lansing Public Library. A borrowed car was the theme of Kathleen Veith's story. 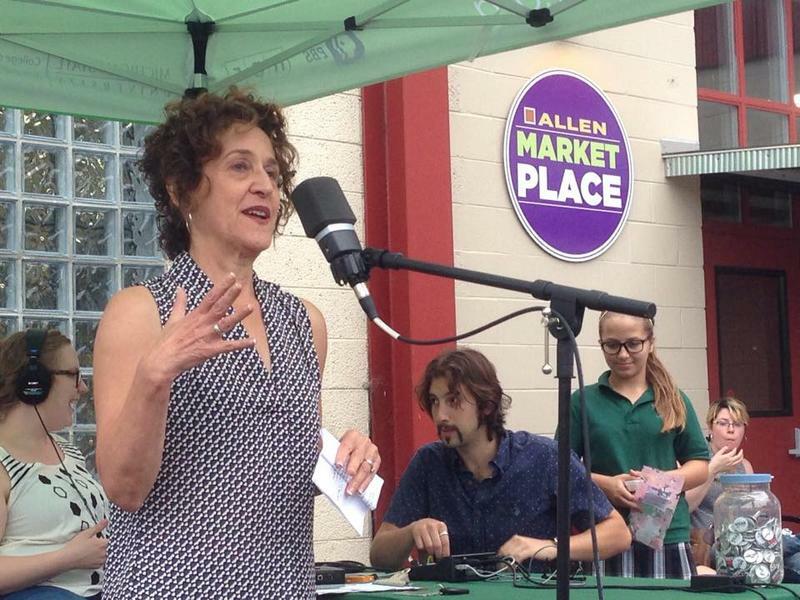 We have another Pop-Up Story today on the theme of “Hungry and Fed.” At our first Pop-Up Story event, Karen Blackman described how the civil rights movement changed her life.